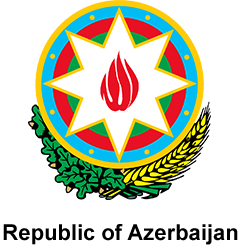 After three successful editions of the Baku World Forum and UN Alliance of Civilizations 7th Global Forum in April 2016, Azerbaijan, in partnership with UNESCO, UNAOC, UNWTO, FAO, the Council of Europe and ISESCO will host the 4th World Forum on Intercultural Dialogue under the motto of “Advancing Intercultural Dialogue: New Avenues for Human Security, Peace and Sustainable Development on 5-6 May, 2017 in Baku. There will be also held the 1st High Level Meeting of the Heads of International Organizations and the World Forum Ministerial Meeting in the framework of the Forum. It will build on the accomplishments of the previous editions, and will be an opportunity to deepen the reflections and to feature new ideas and experiences. Discussion at the World Forum 2017 will place side by side intercultural dialogue, human security, peace and sustainable economic development, highlighting the interdependence of these and, importantly, the centrality of dialogue for peaceful relations and sustainable development, and hence human security.